Learn why Denver Bronco long snapper Casey Kreiter encouraged attendance for Solar Decathlon 2017! 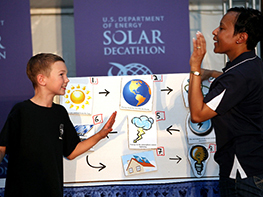 The U.S. Department of Energy Solar Decathlon offers a powerful learning experience for more than the competitors. Homeowners and consumers, building industry professionals, students and educators can explore these educational resources to learn more about renewable energy and energy efficiency. 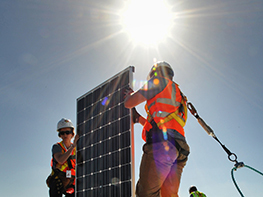 We have a complete list of educational resources to complement solar and energy efficiency courses as well as energy career resources. For more information, explore the links below.